I will be recording new music in March/April before going to London in May for some concerts. I am trusting God to open doors for my Bible based music to be heard throughout the city. I am looking forward to see what God has in store for me. Thanks Cathy S. from the Saylorsburg United Methodist Church for inviting me to give a concert this Spring. I look forward to sharing God's love with your congregation. Our Pitman United Methodist Church Men's Retreat will be at Black Rock Retreat Center in Quarryville, PA on March 16th, 17th and 18th. We would love to have you join us for a weekend of Christian fellowship. Call the church in Pitman, NJ for more info. The Praise Team will be leading the music. The Fire Escape Coffeehouse in Palmerton, PA is a beautiful community cafe supported by many area churches and managed by Pastor Mike Coulson. On Feb. 16th and 17th I will be sharing my music ministry there. Come out and enjoy God's word. I'm looking forward to being interviewed on Hamilton Radio's "Try God First" program on Sunday Feb. 4 at 2:30. Thank you Anna Lovern for the opportunity to share my music ministry with your listeners. Hamilton Radio reaches 4 million listeners in 14 countries around the world. Thank you Jesus! THE GRAMMYS! Had a fantastic Grammy weekend Jan. 26, 27, 28 with my 2 children, Erin and Brent, and daughter-in-law Laura in NYC. It was made extra special since my kids were able to attend the festivities at Madison Square Garden. Looking forward to LA next year! On Fri. Jan. 26th I was invited to attend the Round Glass Music Awards in NYC which recognizes enlightened musicians who create music for Wellness, Peace and Environmental Consciousness. It was great getting caught up with so many talented friends in the music business. Ricky Kej produced an amazing event! Looking forward to playing a short concert at Victory Chapel, a Nigerian church, in Berlin on Dec. 16th @6 pm. My friend Emmanuel, from Nigeria, connected me with the church. The 2 hour program of which I play a 30 min. segment is called High Praise. The first Sunday of Advent, Dec. 3, the PUMC congregation sang "Prepare the Way". Hoping the message goes around the world. "Prepare the Way" as of Nov. 26th has been in the Top 10 on the Global Airplay Top 50 Gospel Chart for 10 weeks. We're excited that this song is getting airplay during the Advent season. Thank you Jesus for taking the message of Christmas all over the country. Had a great time playing for the Walk to Emmaus dinner. We enjoyed getting to know those Emmaus, Chrysalis, and Face to Face Community people. Can't wait to do another one! Pastor Israel asked me to come back to Cancun and play for their June 11th church dedication service. So glad I made the trip back! I got to meet the Vida Nueva church plant team who started Iglesia de Cristo Vida Nueva plus the Ohio church that's been sending work crews down to Cancun. Felt blessed to be able to play 2 concerts @ Iglesia de Cristo Vida Nueva again on May 21 and the 24th. I love worshipping with Pastor Israel Camara and his wonderful congregation. On the 24th a huge storm came up right before the Wed. service and knocked out electricity throughout the area. Then Israel ran to the store and bought candles for the service. We worshipped under candle light creating a beautiful experience! "The Winds of Pentecost 2". I plan on visiting churches and radio stations. More info to follow. HAPPY NEW YEAR everyone! It's Jan. 2017 and time to start planning for the next year. Meeting with record promoters Philerzy to make plans for the promotion of "Los Vientos de Pentecostes" on Latin radio and "The Winds of Pentecost" on UK radio. Matt Cappy assembled a great horn section for the Spanish version of "The Winds of Pentecost". We recorded his horn arrangement at Gradwell House Recording, and Eric Blitz's lyric video came out really well for "Los Vientos de Pentecostes". We're planning on entering it in the Latin Grammys. I got to play a couple pubs in Edinburgh, Scotland and York, England mid Oct.. It was great playing for the local crowds which seemed to enjoy my Christian songs. In 2017 I'd like to revisit the UK. In May of 2016 I played two concerts at Iglesia de Cristo Vida Nueva in Cancun, Mexico. The loving congregation was very receptive. I'm planning on going back soon. 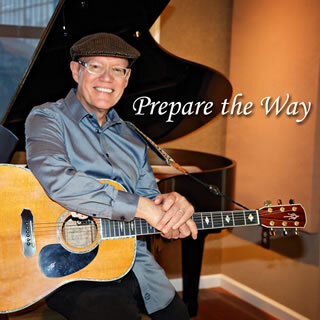 "Prepare the Way" has spent 27 weeks on the National Airplay Christian/Gospel Chart from Oct. through April, and 17 weeks in the TOP 10. PTL and Hallelujah! We had a good run with "Lord I Need a Miracle" and "Lord of Everything" as both went to #1 for 5 weeks total on the National Airplay Gospel Chart in the Spring. "Planted by the Water" followed with 15 weeks in the top 20. PTL! "Lord I Need a Miracle" is now #1! After 25 weeks in the top 10 it moved into the top spot on the National Airplay Gospel Chart. We appreciate all the support Gospel/Christian radio has given this song. 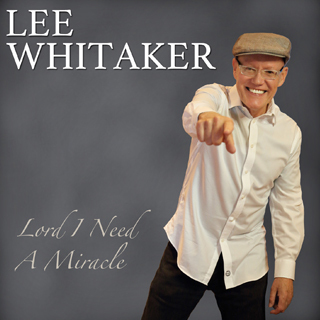 I'm so glad "Lord I Need a Miracle" has been resonating with many people all over the country. "Lord I Need a Miracle" is #3 this week on the National Airplay Top 50 Gospel Chart! Yes!! For the past 6 weeks we've been in the Top 10. We appreciate the thousands of spins we're getting on online radio and some terrestrial radio, too! Trying to put together a tour soon. "Lord I Need a Miracle" is #8 this week on the National Airplay Top 50 Gospel Chart, and we are praising God! We appreciate all the airplay we're getting in Houston, Dallas, St. Louis, Atlanta, Orlando, and Palmdale, CA with more cities being added weekly. TY GOSPEL RADIO! Having a photo shoot this week for the June release of my new single, "Lord I Need a Miracle". Grammy noms/promoters, Helen Bruner and Terry Jones from Philerzy are very excited about introducing this song to radio! Publisher, Jeff Leauby is helping me with the computer tech stuff, along with Kevin Burke on the promotion. 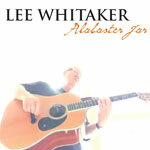 Just got "Alabaster Jar" Grammy registration done in the nick of time for Best Contemporary Christian Music Album. "Lord of Everything" track for Best Gospel/CC Music Performance; and "The Alabaster Jar" track for Best CC Music song. Looking forward to see how God uses this Bible based album for His glory! The past couple months have been great. We made an appearance on TBN tv and sang 4 songs from the new CD, Alabaster Jar. 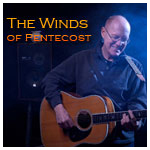 Also, Andy Frost, creator of Pentecostfestival.co.uk.com loved my single,"The Winds of Pentecost", and sent it out to hundreds of host churches throughout the UK for Pentecost Sunday. Thank you Andy and your organization, Share Jesus International. We've been asked to be a part of the 2014 London festival which is a 10 day event. God is really blessing us through "The Winds of Pentecost". "Also, we're getting music together and planning for our Pitman United Methodist Men's retreat on Mar 15-17at the Black Rock Retreat Center, Quarryville, PA." All men are welcome! Looking forward to seeing all my Gospel friends March 4 at our Gospel/Contemporary Christian "meet and greet", Phila. Grammy offices. "The radio promotion for both new singles, "The Winds of Pentecost" and our new Christmas song, "The Star of David", will begin Nov. 20th and continue through Dec. Hope you get to hear them on your favorite radio stations and thanks for your support! Taking a short break from mixing the AJ album while we work on the 'Winds of Pentecost' promotion. Looking for a team to help market the 'single'. Please contact me if you would like to help. Playing Amazing Grace in Mullica Hill, Sat. Oct. 13th. Jerome Sheldon is on at 6:30 and yours truly at 7:15. Come on out and hear songs from the Alabaster Jar album! Just got our 1st gig in the New Year at 'Grounds for Good Coffeehouse' at UMC, Moorestown, NJ! Wonderful venue for a great cause! Had a successful meeting @ Craig White's studio, 'The Lab', with Grammy winners Terry Jones and Helen Bruner. The Philerzy Co. will be launching the new single, 'The Winds of Pentecost'. Doing some radio promotion now that the web site is LIVE. If you'd like to help out, please contact me! Webcreationus did a great job on the site! music_cover_1.jpg Felt blessed to be able to play concerts at Iglesia de Cristo Vida Nueva again in May. Jan 20 CMN Christian Music Network, 3 Bros. Pizza, Wind Gap. Dec. 18, Red Lion, 151 Bleeker St. Manhattan, NYC, 6 PM. performing "Prepare the Way"
Dec. 3, PUMC "Prepare the Way" 9:30 & 11 PM. Nov. 26 Pitman United Methodist Church, "The Calling" 9:30 & 11 AM. Oct 14, 12:30 concert @ Riverview Estates, Riverton, NJ. Jan. 3, 10, 17, 24, 31 Pitman United Methodist Church 9:30/11 Dec. 20 PUMC "Prepare the Way" 9:30/11 am. Dec. 2 Ann Whitaker service, Abbotts Grill, Seaford, DE 11 am. Oct. 13 Pitman Manor concert, 7 pm Sept. 26 PUMC breakfast concert, Pitman, NJ 8 am. Sept. 13 Pitman United Methodist Church 9:30/11:00 "Planted by the Water"
July-Aug. Recording sessions for "Prepare the Way"
March 22 Praise Band Concert, Pitman United Methodist Church, Pitman, NJ 6 PM. Dec. 14 Pitman United Methodist Church, Pitman, NJ "Prepare the Way"
Nov. 9 concert @ Haddon Heights United Methodist Church missions dinner. March 10 PUMC Praise Band, 9 and 11 AM.